We finished the Greyhound a while back and they’re available now at our retailers. 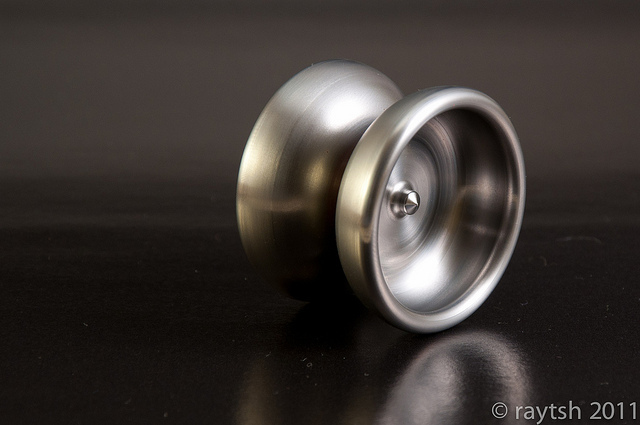 Our first low price yoyo was the Void. 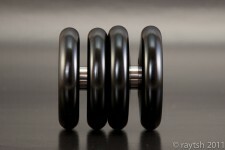 It was a huge success and we decided to further expand our line of lower priced throws by two – Valve and Verve. Both feature a similar shape and guts, however they come in two differenz sizes. The Valve being the full size entry at nice 54mm diameter. 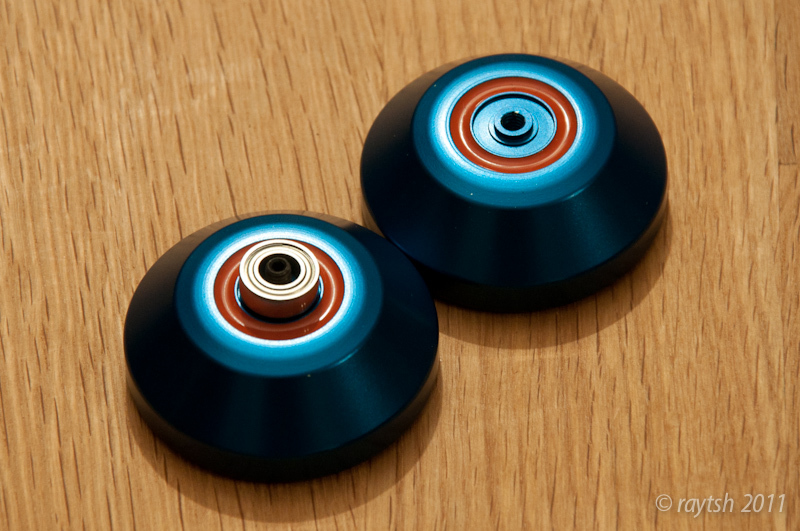 And the Verve being the smaller brother at 50mm diameter. Valve is planned for mid November, Verve in December. They‘re almost done! 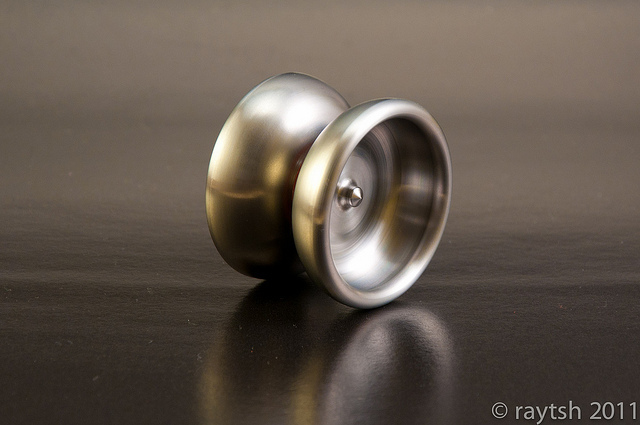 They feature our new Pearl 2.0 finish. 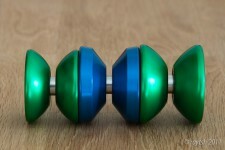 In fact, its a special kind of hard anodizing which has some certain qualities to it. Quote: maximum resistance to abrasion, greatest possible sleekness, maximum hardness/toughness, much increased chemical resistance. According to the anodizing shop this particular coating surpasses similar coatings by competators up to 30% regarding the quality of the coating features. About 65 will head to retailers by the end of next week. If you are interested in one, go and get yours as soon as they drop. This is the first and the last batch of 2WEI due to a lack of demand. 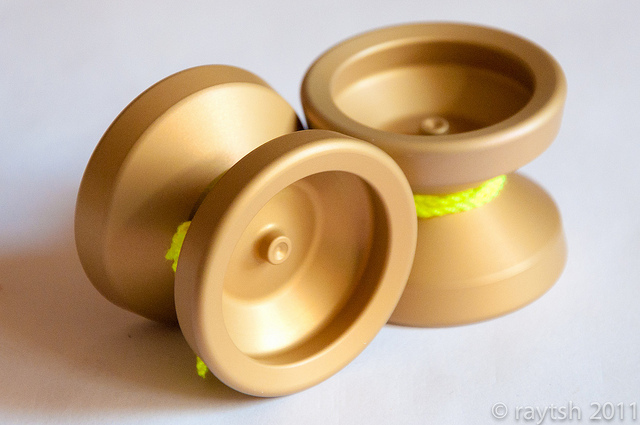 Also, this will our last yoyo with CandyBlast Pearl topping. Prices for this coating went through the roof, so it’s double rare. Get ready! Final 2011 Eels will be finished and shipped to selected retailers next week. These feature a slightly satined finish to further improve grinding abilities. 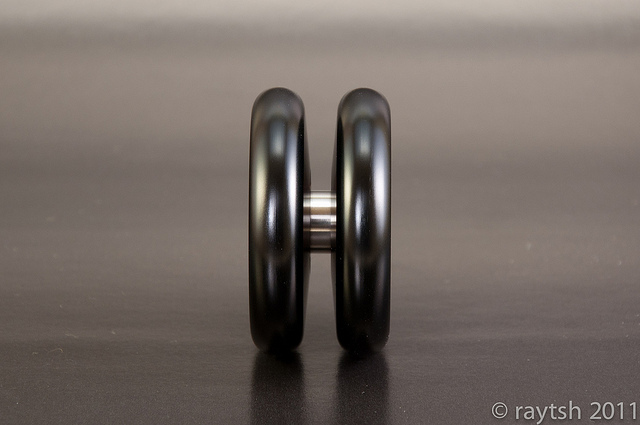 Also, we made room for a 2mm longer axle which provides stability and strength. 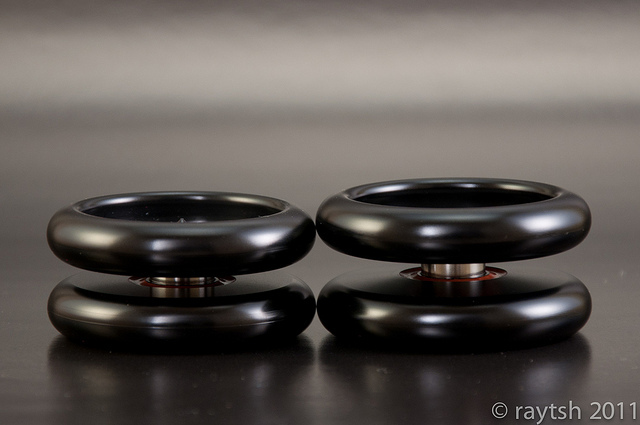 Our second preproduction run of the 2WEI is done and heading to YoYoExpert. The purple colour on these came out a little lighter than expected, that’s why they will drop at a discount price! The Trvth is out there! 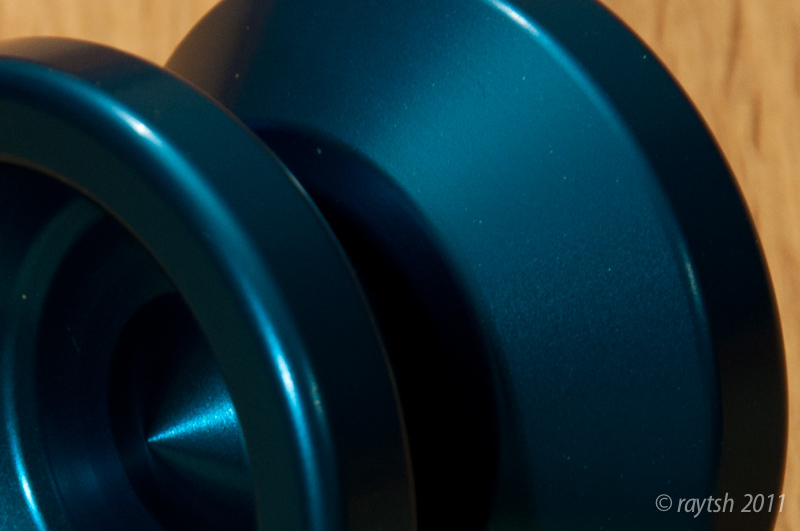 Dominik loves his SB2 so much, so we decided to work on a classic shape yoyo, a tribute to Tom Kuhn’s classic. We finally came up with nothing but the Trvth. At this point, there have been two iterations. The first prototype featured an absolutely straight gap profile. But we found it very hard to play with it, cause of the tiny catch zone. 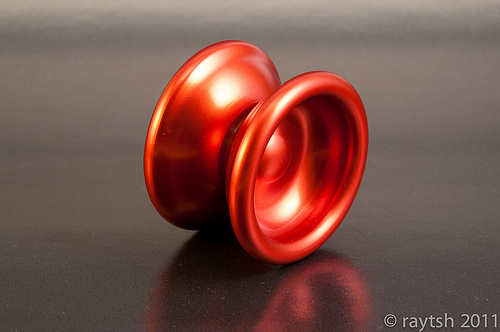 So, to increase the playablity just a bit by maintaining an uncompromising design, at least by today’s standards regarding 1A yoyos, we decided to make the profile slightly wing-shaped. Actually the SB2 was slightly wing-shaped as well. Now, for our second prototype the catch zone is like double the size of the first version. 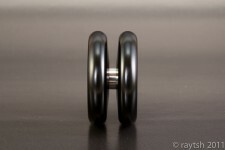 We also increased the overall diameter just a bit to give it more rim weight and spin time. The second prototype features full, state of the art engravings. As you can see, we are kind of going a metal theme here. Its a darkyoyo, which leads us to “black metal” of course. Also, you can think of the name and the term “trve metal”. 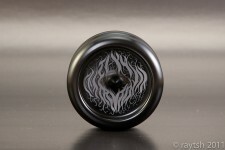 The style of the engraving goes along with the heavy metal theme as well. 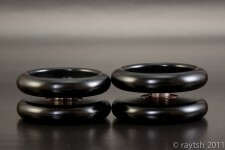 Artwork by Clayton V.
The final release will also be candodized, just like the prototypes. The engraving is not final at this point, we might tweak it a bit here and there. 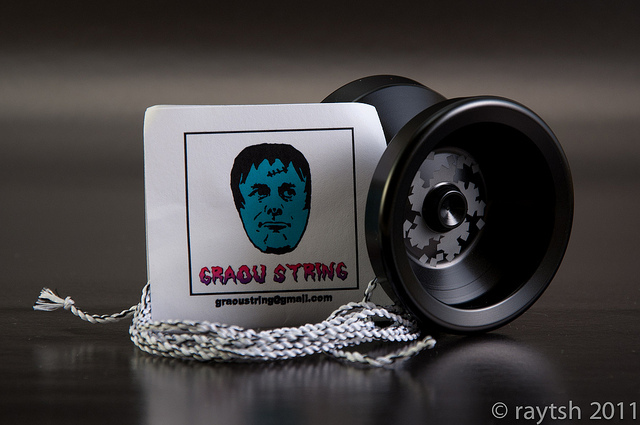 As a goodie, the final version will come with a special Graou string made just for us. 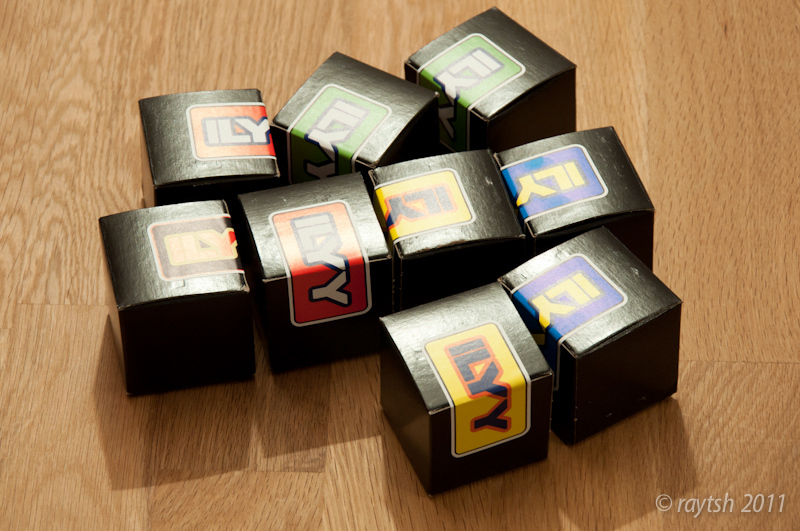 We are aiming for a release during second half of 2011. 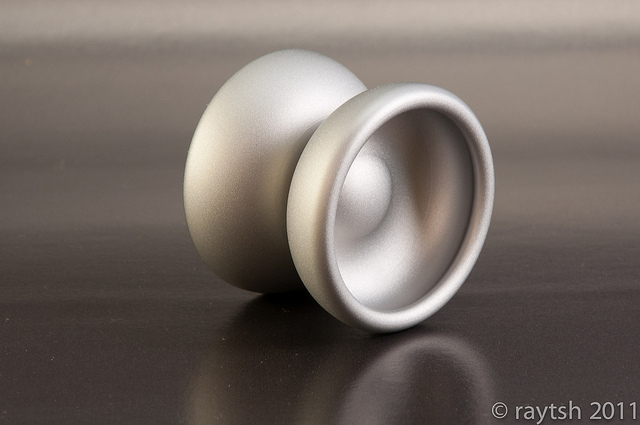 Saint Eel, the best mini yoyo out there got its revamp. Longer horns, more rimweight and a generally optimized weight. 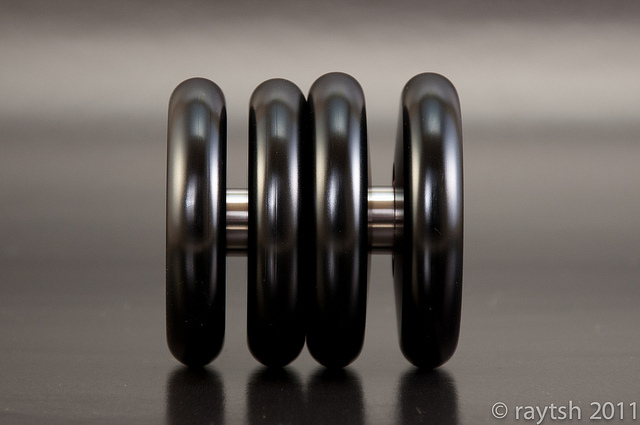 Finish is yet to be announced, but nine Eels will be available in the pictured raw finish at Yo-Shop.